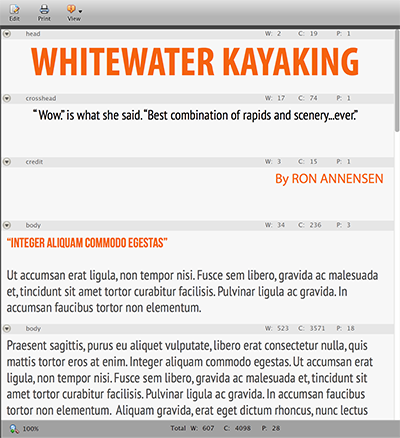 When viewing an InCopy article in Content Station, a user can enable the Visual Mode to show the text of the article in the applied formatting. 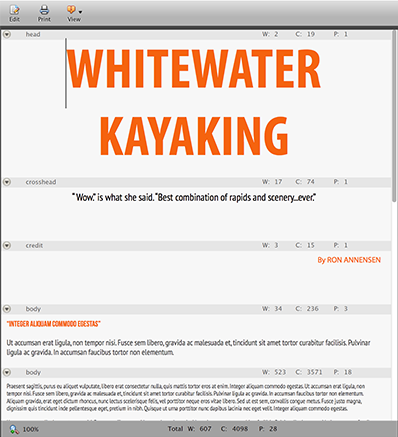 Figure: When viewing an article in Content Station with Visual Mode enabled, the text is displayed in the formatting that has been applied to it. Info: This feature requires Content Station version 9.3.0 or higher. Tip: To remove any restrictions in the way the font size is displayed (and thereby make it work as it did in versions earlier than Content Station 9.3), set the minimum font size to 0 (zero) and the maximum font size to 1000. Note: These settings only affect the way the font size is displayed when viewing the article in the Multi-Channel Text Editor; the size of the font in the actual article is not affected.